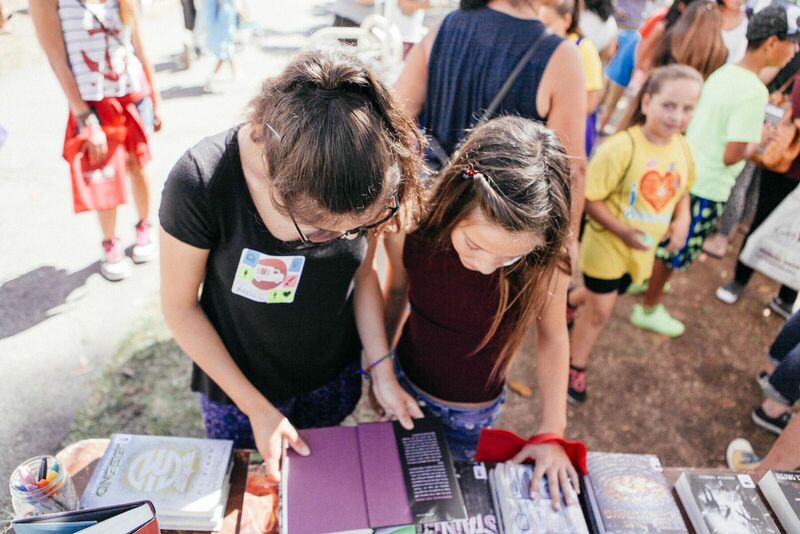 Host a book drive or volunteer at a literacy event. 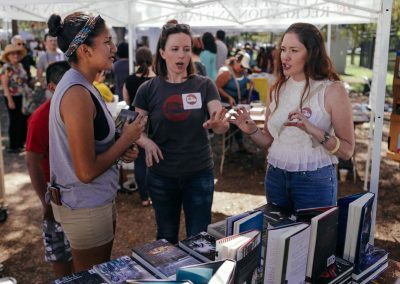 Are you a teen who loves books? 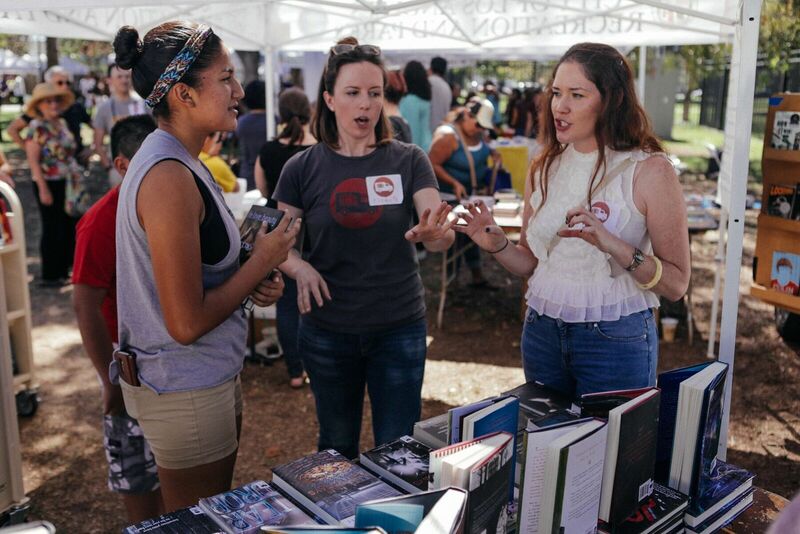 There are several ways you can get involved with The Book Truck! 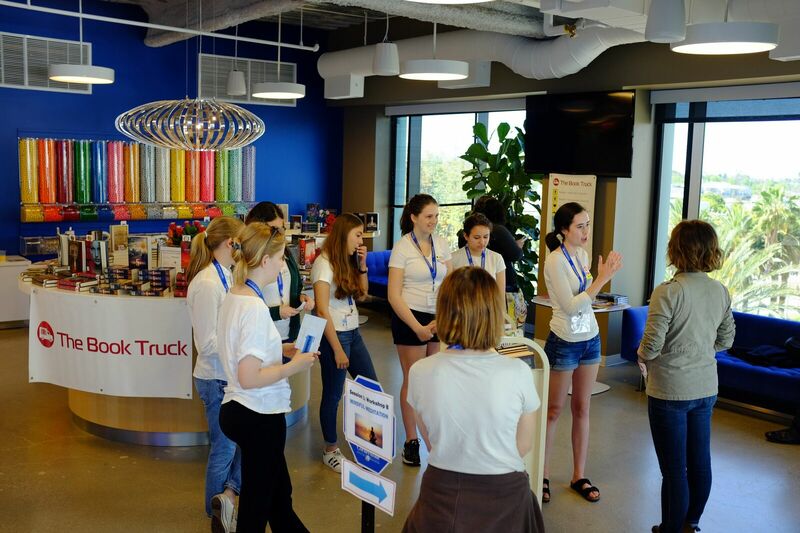 Whether you want to take on a big project (with a school group or for a Mitzvah or Eagle Project), or just volunteer on your own, we would love to have you join us!! 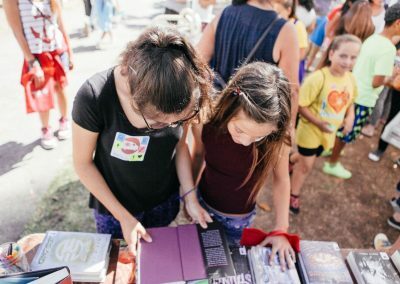 The two best ways to get involved are holding a book drive or getting trained as one of the “book experts” who volunteer at our teen literacy events. Learn more about teen volunteer opportunities or get information about holding a book drive. 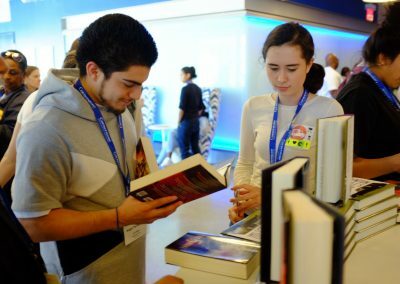 Volunteer at one of our teen literacy events. 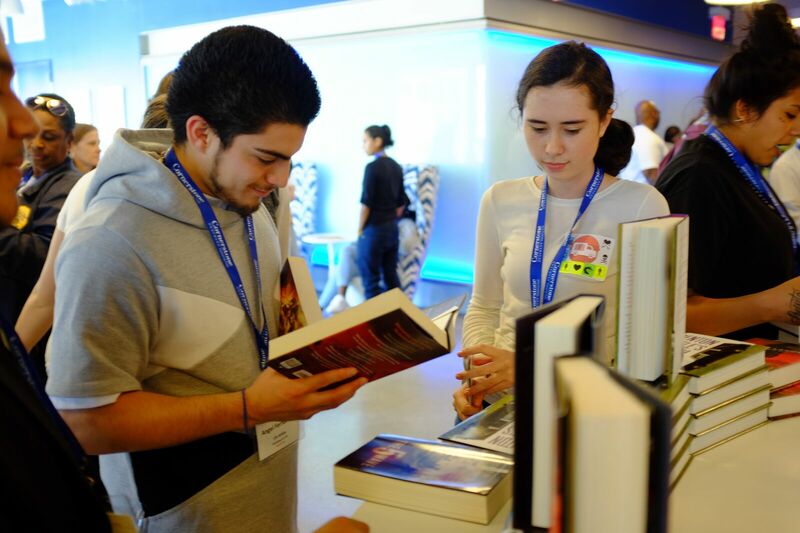 Get trained as one of our official book experts and help ensure that every teen who talks to us takes home the perfect books at one of our literacy events. Once you are trained as a book expert, you can sign up to come to ANY of our literacy events to volunteer!! 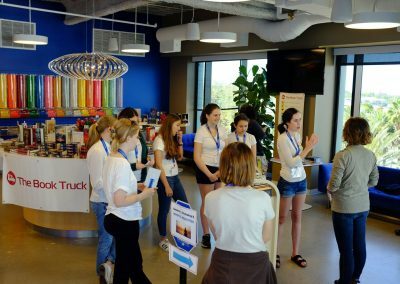 This is a great experience for small groups of teens like academic enrichment programs, book clubs, and honor societies! Your group’s advisor can contact us here. Want to get more involved? Hold a book drive! Hold a book drive at your school, your church, or even your birthday party. 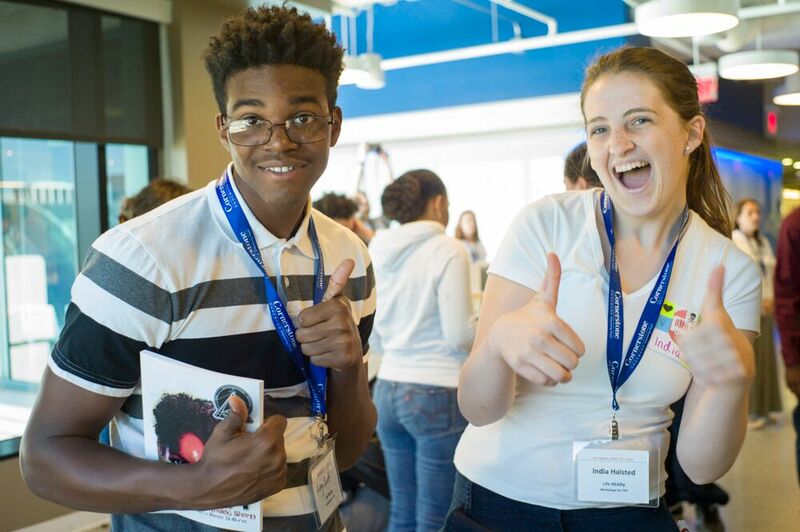 Your support and involvement helps us improve the lives of teens with low literacy. We'll help you plan the details and arrange a time to pick up the books after your event.